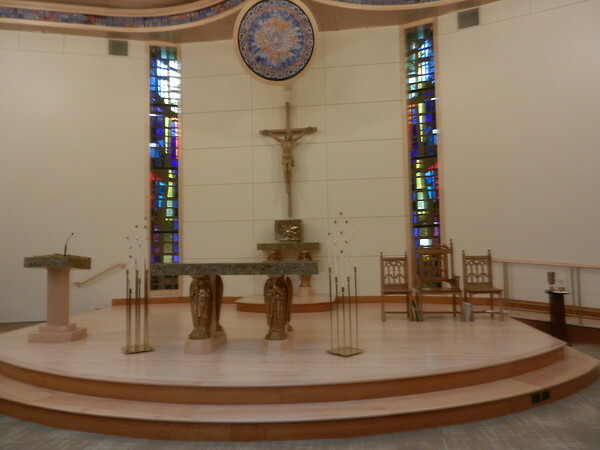 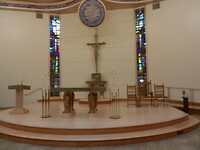 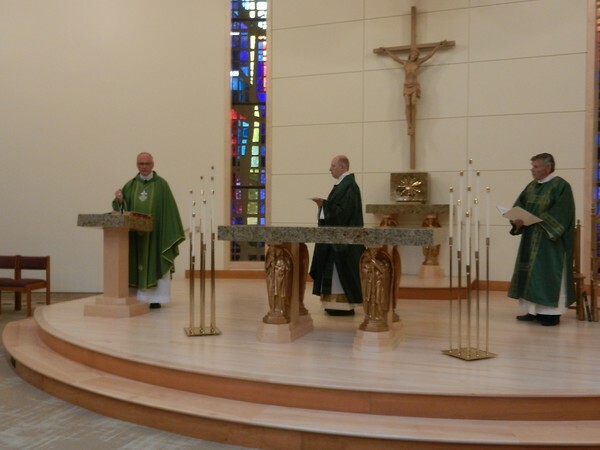 On the 30th of August in the year 2015 St. Peter Damian finished the renovations on the main church's sanctuary. 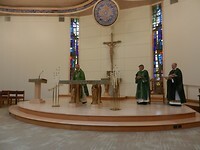 After many months of hard work all the efforts finally came together to create a beautiful new environment for the parishioners to come and worship. 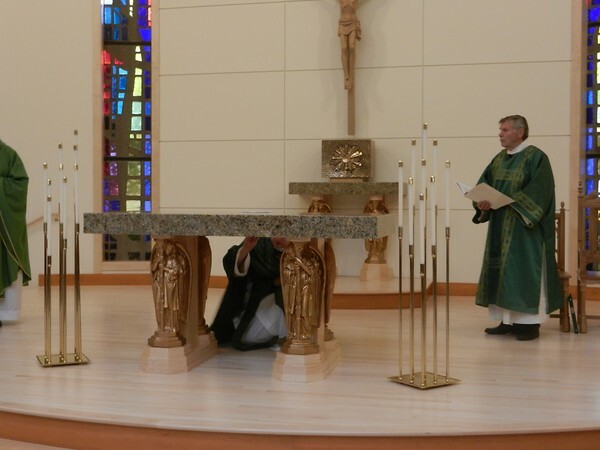 The team running the renovations, lead by Father Walter Takuski, worked tirelessly through our summer months until the day Bishop George Rassas would come to Consecrate the Altar and Bless the New Sanctuary. 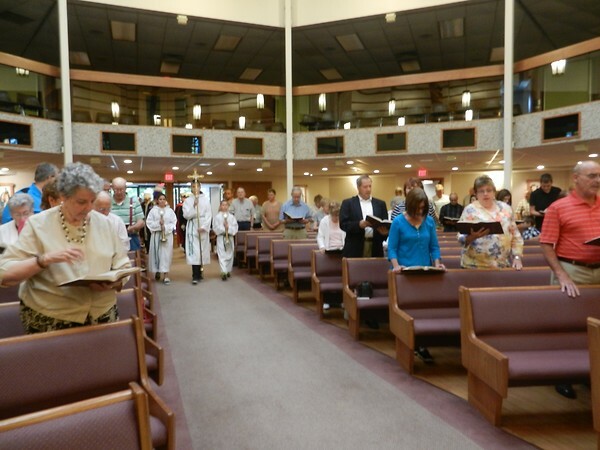 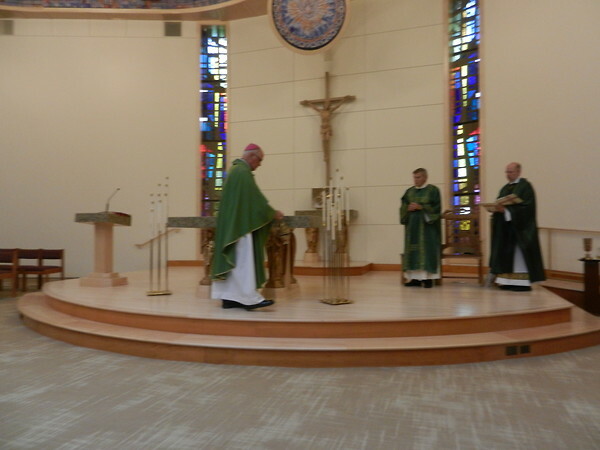 In this album is the mass that was held at 7:45 am on August 30, 2015. 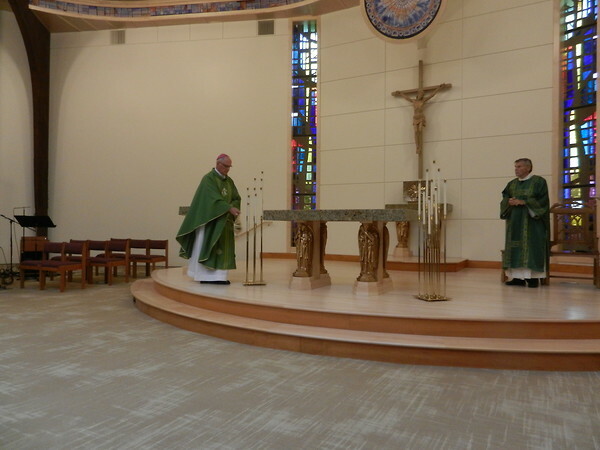 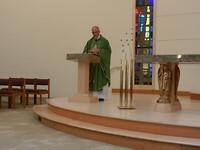 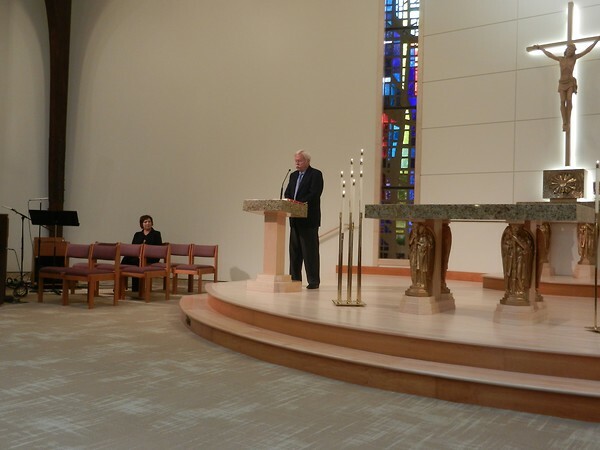 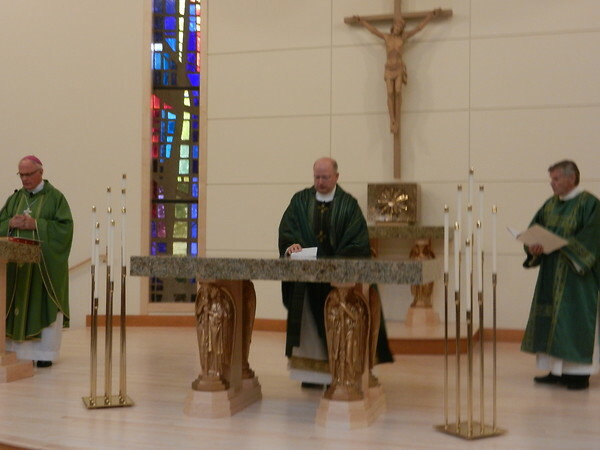 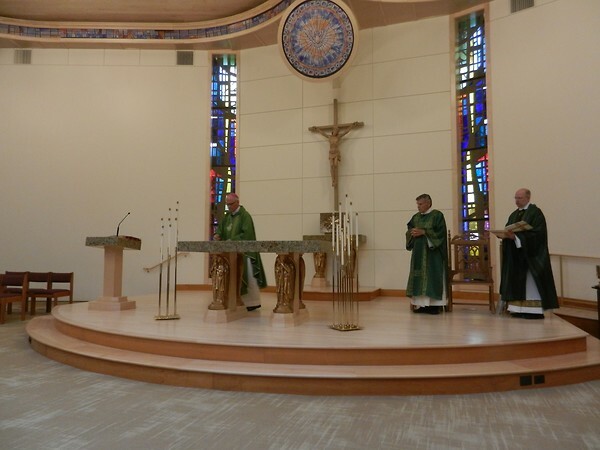 With the help of Deacon Ron Yorkis and Father Walter Takuski, Bishop Rassas was able to welcome St. Peter Damian and her followers into the new home for worship. 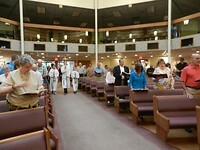 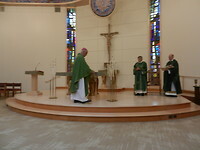 Here is a picture of the procession of the altar services with the Bishop, Father Walter and the Lectors. 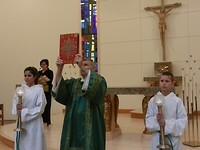 With the help of our altar servers Emily and Anthony, Deacon Ron Yorkis holds the sacred book for all to see. 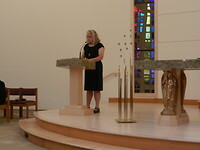 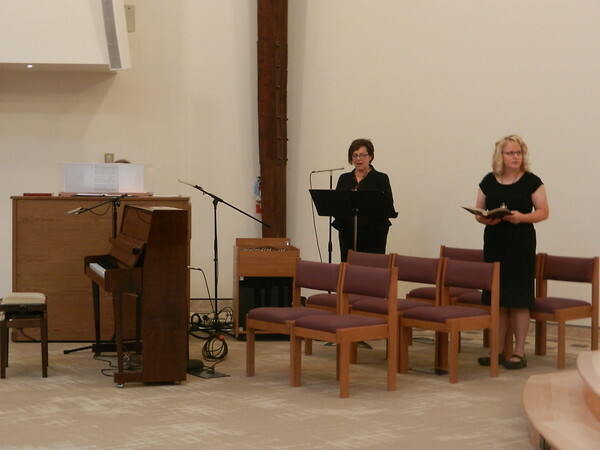 Michele is in the background singing joyful tunes in preparation for the reading from the holy gospel. 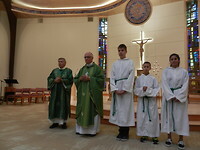 For those not seen, our awesome altar servers Dominic, David and Matthew are patiently waiting in the side lines. 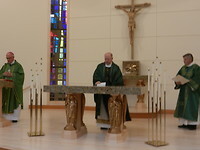 Father Walter is preparing the relic for its placement in the altar. 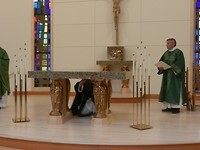 More photographs of the placing of the sacred relic into the altar. The Bishop Rassas and Deacon Ron continuing the mass for the blessing of the Sanctuary. 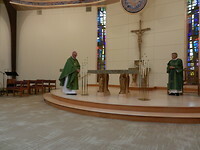 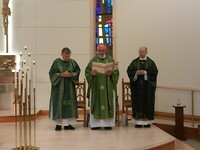 Bishop Rassas is continuing the blessing of our new altar, with the observing Deacon Ron and Father Walter. Here Bishop Rassas, and Deacon Ron await the gifts. The ever patient altar servers Matthew, Anthony and Emily await alongside Bishop Rassas while David and Dominic stay alongside Father Walter.